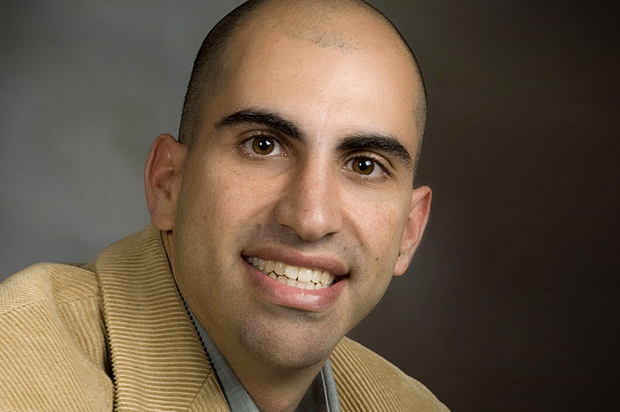 This is an opinion column by Steven Salaita, an American professor of part Palestinian ancestry, about how he was denied a tenured job by university of Illinois supposedly because he supported Palestinians against Israel over gaza. Professor Steven Salaita, whose job offer was rescinded by the University of Illinois, gave a public response Sept. 9 at the university YMCA in Urbana, Ill. In the weeks before my move, I watched in anguish as Israel killed more than 2,100 people during its recent bombing of Gaza, 70 percent of them civilians, according to the United Nations. Like so many others, I took to my Twitter account. I posted tweets critical of Israel’s actions, mourning in particular the death of more than 500 of Gaza’s children. A partisan political blog cherry-picked a few of those tweets from hundreds to create the false impression that I am anti-Semitic. Publicly disclosed documents reveal that, within days, University of Illinois donors who disagreed with my criticism of Israeli policy threatened to withhold money if I wasn’t fired. My academic career was destroyed over gross mischaracterizations of a few 140-character posts. This is not only devastating to my family; it is a grave threat to faculty and students everywhere. Principles of free speech, academic freedom, and shared governance enable faculty and students to ask difficult questions and find answers that challenge conventional wisdom. It is anathema to this tradition to allow the elite to dictate to a public university who gets hired and what ideas are acceptable. For this reason, nearly 6,000 professors nationwide support boycotting the university, 16 departments have voted “no confidence” in the administration, and the Modern Language Association and Association of American University Professors, among dozens of other organizations, have demanded my reinstatement. Such tactics are increasingly being used to silence faculty and students on campuses across the country for speaking in support of Palestinian human rights. Too often universities acquiesce to external pressure, as in this case, where in their rush to accommodate donor demands, the trustees disregarded the judgment of the faculty hiring committee and failed to review my teaching and scholarly record, or even my other tweets. And so when I wrote in one of the controversial tweets, “Israel: transforming ‘antisemitism’ from something horrible to something honorable since 1948,” my point was not that there is any honor in anti-Semitism, but that calling legitimate criticism of Israeli government policies an act of anti-Semitism drains the word of meaning and undermines the very real experiences of those who suffer its horrors. Likewise, the intent of my tweet that settlers should “go missing” was a call for an end to the settlements, which the international community largely agrees are counterproductive to peace, not a call to violence. As for the vague and subjective charge of “incivility,” it has nothing to do with my classroom performance. My former students have spoken overwhelmingly about my strength in accommodating conflicting viewpoints and in their evaluations I have never been criticized for being unfair or intolerant of contrasting opinions. Narratives never encompass the totality of the stories they attempt to tell. They emerge from a long editing process. Think reality TV: Thousands of hours of raw footage are condensed to 40 minutes, selected to convey calculated storylines. Any time we tell a story, we omit what we consider unimportant, and in worse moments, we ignore information that contradicts a predetermined conclusion. If we consider the parts of my record left on the cutting-room floor, my story looks quite different. In taking the extraordinary step of terminating me from a tenured position, University of Illinois leadership adopted a false narrative in order to appease a few wealthy donors rather than uphold critical principles of free speech and academic freedom. This is the reality-TV version of my story, which has disturbing implications for the future of American universities that reach far beyond my job prospects. The original story was first published here.